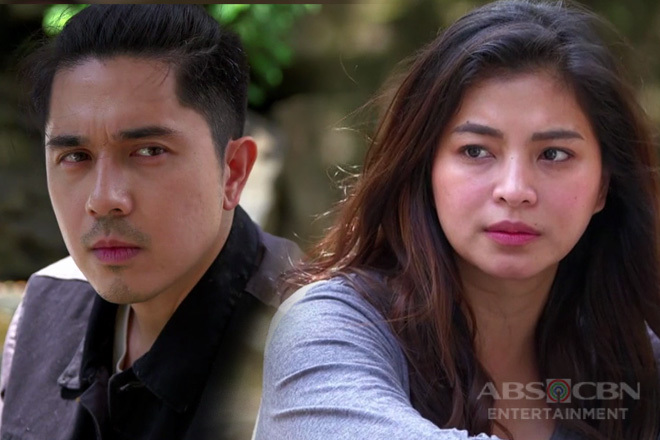 Rhian (Angel Locsin) is still moved with sympathy for Romer Peralta aka Regie Domingo and his pregnant wife, who were killed the night before. Rhian tried her best to save them but just found their lifeless bodies when she arrived in the area. 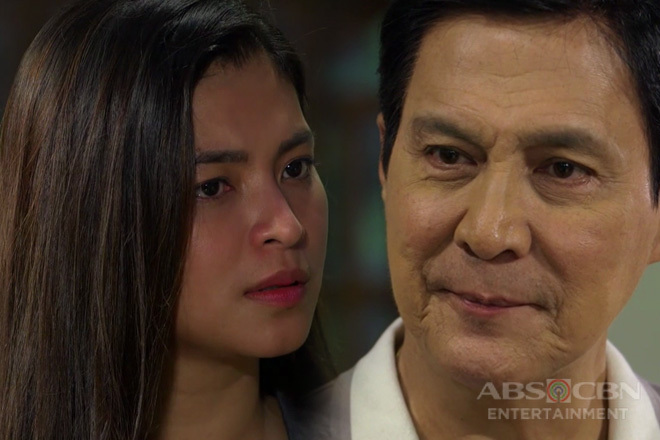 Rhian comes home and confronts Tiyago (Tirso Cruz III), believing that the murder is ordered by her father. Tiyago acts innocent and denies Rhian’s allegations. He twists the truth by making the military appear as the villains once again, saying that the victims are under the custody of the troops when the incident happened. 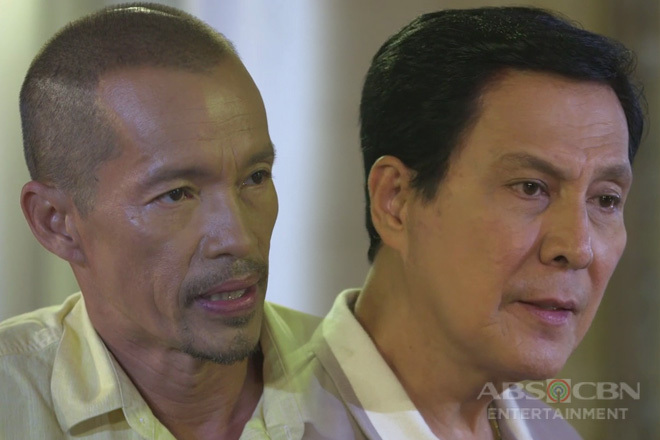 He also tugs at Rhian’s conscience and accuses her of not trusting him. Rhian easily buys Tiyago’s alibi and story. Rhian reports at the camp with overflowing emotions. 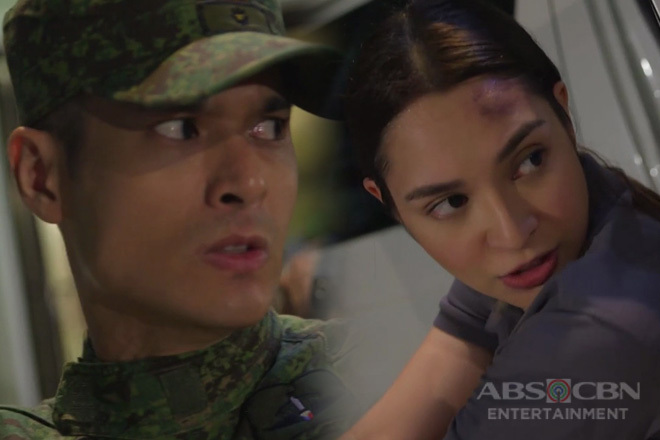 General Marcial de Leon (Albert Martinez) is doing his rounds when he sees Rhian crying in a corner. He comes near her and hands over a handkerchief. Rhian accepts Marcial’s offer of comfort and narrates that she can’t help but share her grief for Regie and his wife. She wonders why such thing happens. Marcial expresses her regret and sadness as well, saying he doesn’t believe in putting an innocent person to death either. He recalls the pain of losing his parents at an early age. Marcial adds that he decided to become a soldier to spare other people from that kind of despair. Rhian agrees, stating that losing a loved one is already painful but injustice adds more agony. After consoling Rhian, Marcial bids good bye and leaves her behind. 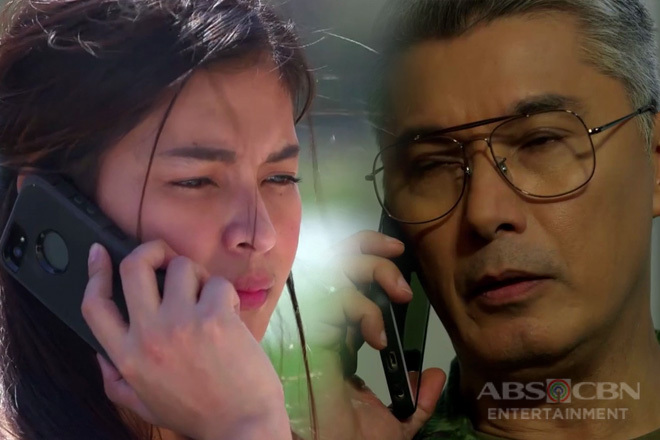 Despite the sincerity in Marcial’s words and face, Rhian still choses to believe her father Tiyago. 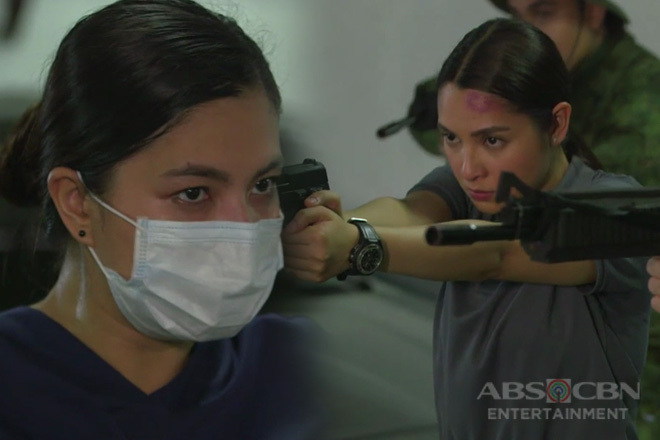 She still grasps unto Tiyago’s claims, that the military killed Regie and his wife –igniting more fire to Rhian’s anger towards Marcial.